Sometimes not all properties might be exposed in the app builder, but it doesn’t mean you can’t set them. 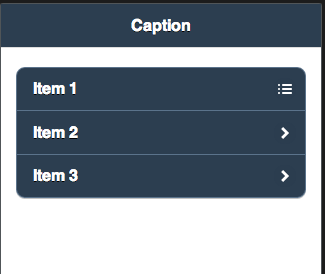 Using More Properties feature, you can set any properties supported by the component HTML or jQuery Mobile component. To make this work, you need to know the property name and possible values. This is easy to find in jQuery Mobile docs or HTML docs.